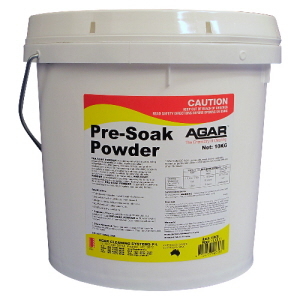 Agar Presoak is a chlorinated alkaline powder, free flowing and non-toxic. Dissolves food residues and teacup stains. 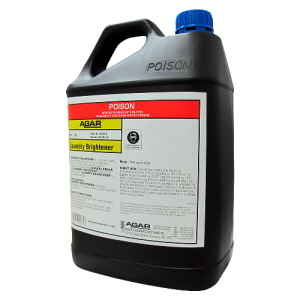 It is used for cleaning, sanitising and removing stains in kitchens, laundries, bathrooms, hospitals and nursing homes. 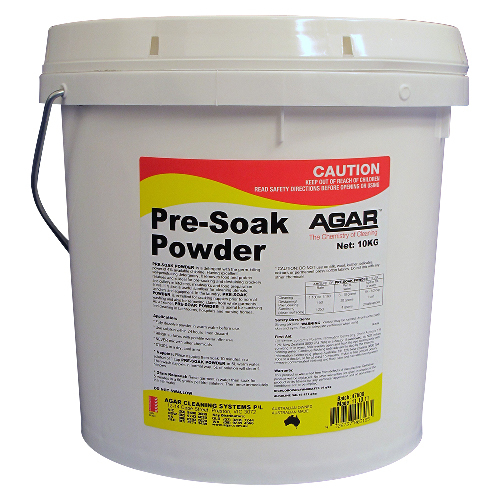 Agar Presoak Powder is excellent for pre-soaking and destaining teacups, crockery, cutlery and glassware in kitchens, meatworks and food preparation areas. It is excellent for soaking nappies and foul linen prior to normal washing. 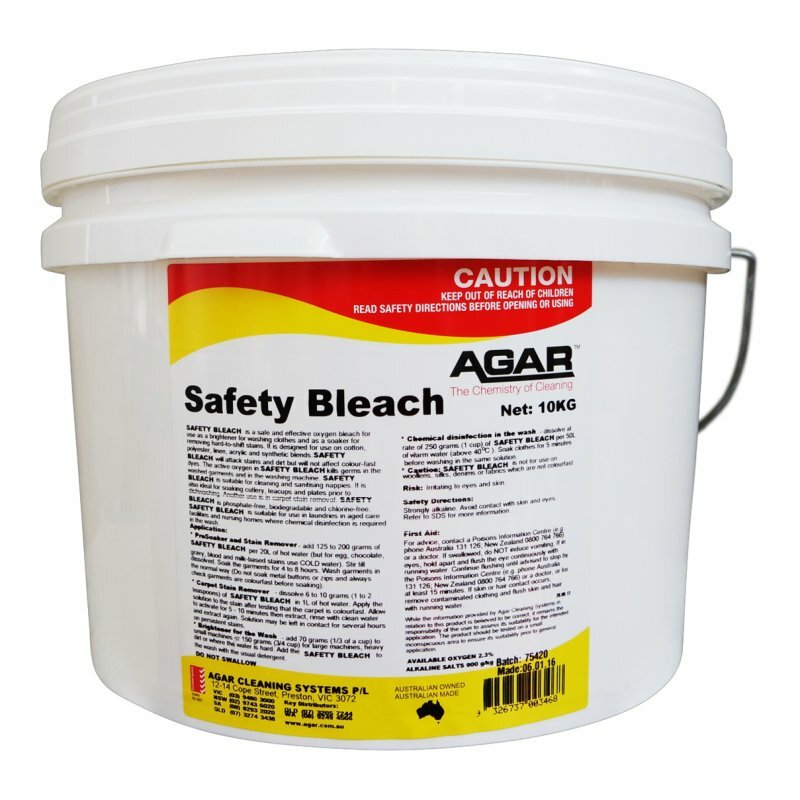 Agar Safety Bleach is a blended sanitising powder based on safe oxygen bleach. Phosphate-free. Excellent for pre-soaking, bleaching and sanitising of general clothing and nappies. Safe on coloured fabric. 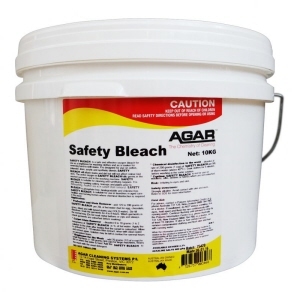 Agar SAFETY BLEACH is a safe and effective oxygen bleach for use as a brightener for washing clothes and as a soaker for removing hard-to-shift stains. The safe oxygen bleach can be used to remove stains from cotton, polyester, linen, acrylic and synthetic blends and will not affect colour-fast dyes. It is also a good stain remover for soaking cutlery, teacups and plates in the kitchen prior to dishwashing. It also finds application in removing carpet stains eg. coffee, tea, wine, juice and more. 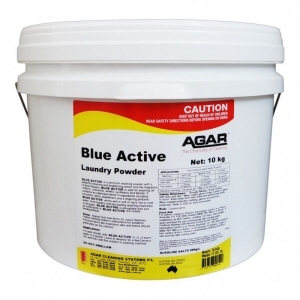 Agar Blue Active has a powerful cleaning and brightening action while being safe for washing all cottons, coloureds, whites, washable synthetics and blends. 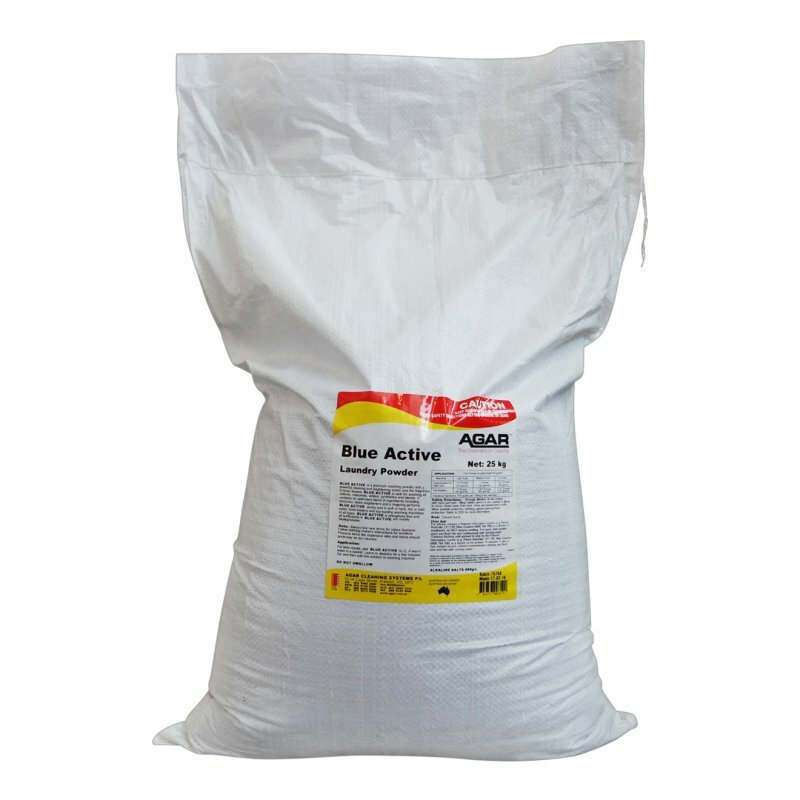 Working in both hot and cold water, Blue Active powder is suitable for both front-loaders and top-loaders. It contains biodegradable surfactants, enzyme stain-removers, is phosphate-free and antibacterial and leaves a lingering fresh scent. 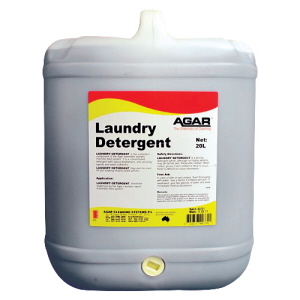 It is a detergent for industrial and domestic laundering of clothes, and can be used to wash cottons, coloureds, whites, synthetics and blends in laundry washing machines. NOTE: It is not suitable for washing woollens or delicate silks and linens which should be dry-cleaned. Agar Flair Laundry Powder is phosphate free, effective and economical powder laundry detergent. It handles the dirtiest loads with hot or cold water. It is suitable for both top-loaders and frontloaders. Contains a carefully blended selection of ingredients to provide excellent soil and stain removal, excellent water softening, brightening and perfuming qualities. Industrial strength. It is a detergent for industrial and domestic use, and can be used to wash cottons, coloureds, whites, synthetics and blends in laundry washing machines. 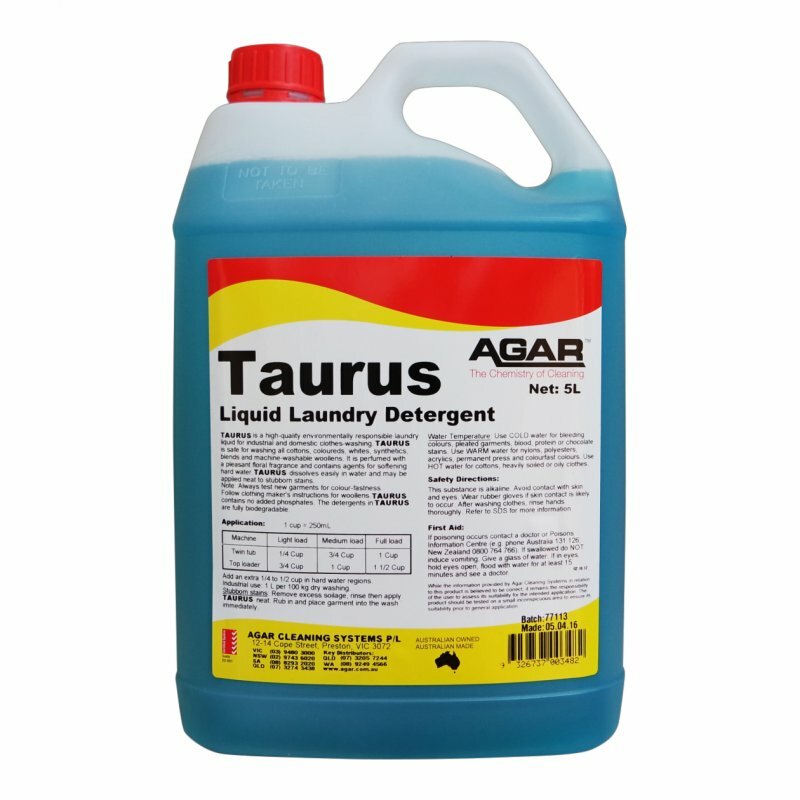 Agar Taurus Concentrated Liquid Machine Laundry Detergent is phosphate free, safe on all machine washable fabrics. Effective on the heaviest of soil in hot or cold water. Contains optical brighteners to restore the brilliance of colours and a fresh fragrance. 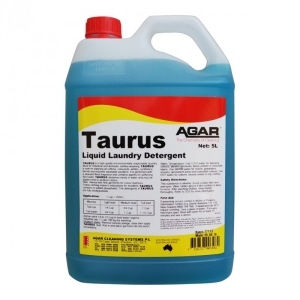 Agar Taurus is a high-quality environmentally friendly laundry liquid for industrial and domestic clothes-washing. It may also be used to wash machine-washable woollen garments. 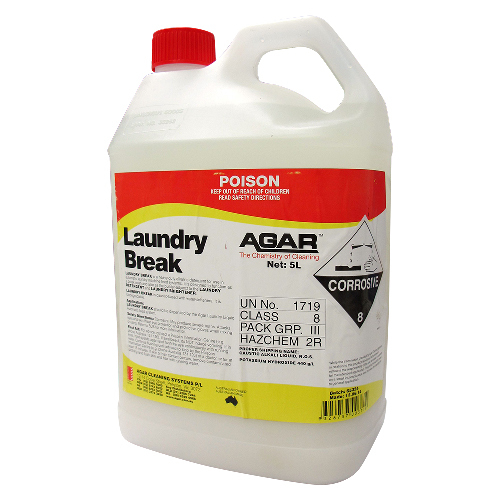 Agar Laundry Break is a heavy-duty alkaline detergent ideal for use as a breakwash to prevent protein soils from setting. It has very good emulsification and suspension properties to leave washed articles cleaner and brighter. Do not use on wool or silk. 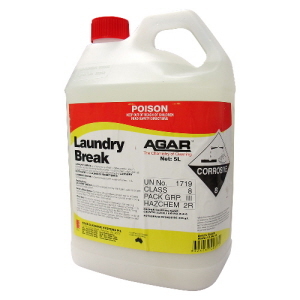 Agar Laundry Break is made for industrial, institutional and commercial laundries where washing machines are supplied by Automatic Liquid Detergent Feed Systems. It functions as a break wash and also as the builder-adjunct to the companion products LAUNDRY DETERGENT and LAUNDRY BRIGHTENER. 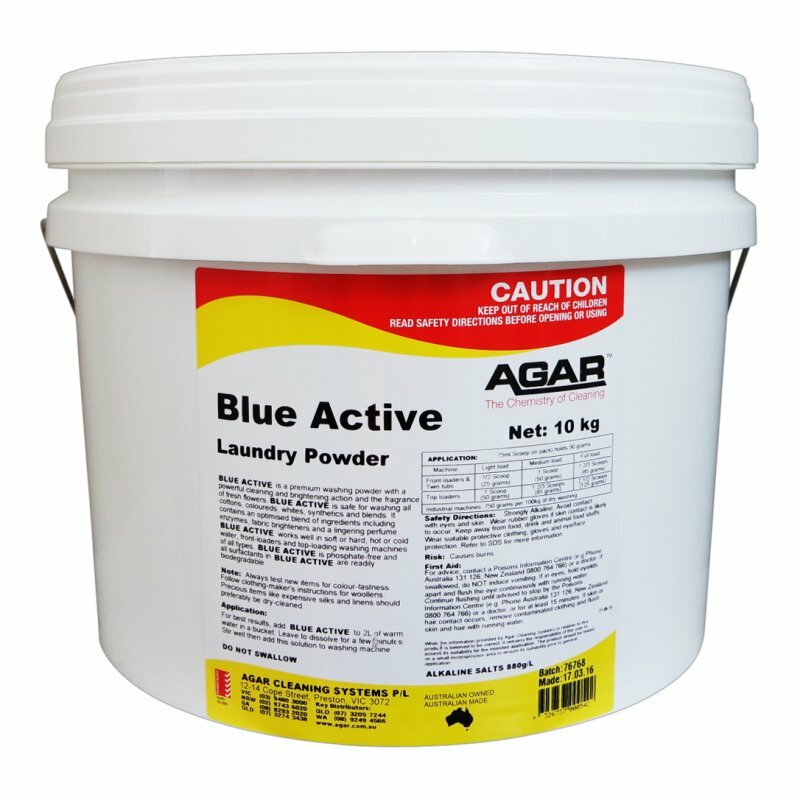 Agar Laundry Brightener provides safe bleaching for the removal of a wide range of spots and stains without affecting the fabrics or colours. It is suitable for use on cotton, polycotton, wool, silk and synthetics, both white and coloured. It is a concentrated laundry bleach based on peroxide for use in industrial, institutional and commercial laundries where washing machines are supplied by Automatic Liquid Detergent Feed Systems. 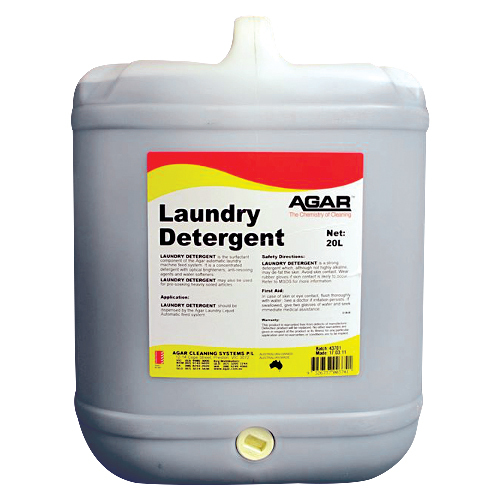 Agar Laundry Detergent is a surfactant rich liquid detergent used as the main detergent component in the wash cycle. It is suitable for cleaning heavily soiled laundry including whites, coloureds, cottons and synthetics. It is made for use in industrial, institutional and commercial laundries. 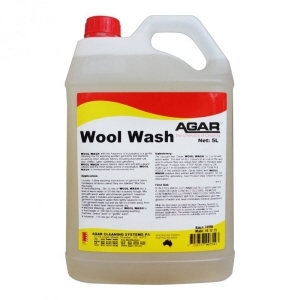 Agar Laundry Detergent contains surfactants to emulsify soils, optical brighteners to prevent greying and revitalise colours, and anti re-deposition agent to suspend soils so they can be rinsed clean away. The product can be used in soft or hard waters. 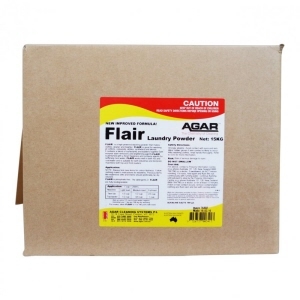 It has excellent rinsing and finishing properties and is safe for use on all fabrics. It works together with its companion products LAUNDRY BREAK, LAUNDRY BRIGHTENER, LAUNDRY SOFTENER and LAUNDRY SOUR to provide a complete system with the flexibility to wash all kinds of fabrics. 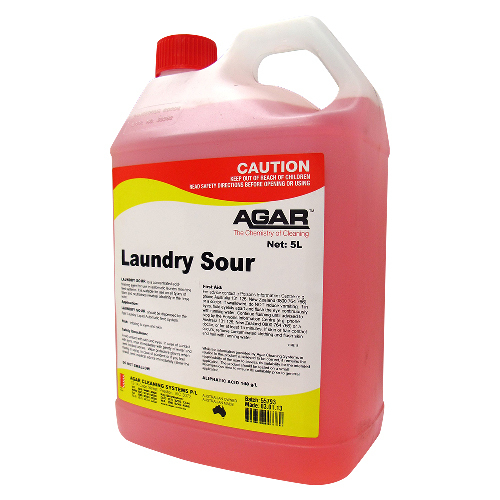 Agar Laundry Sour is a concentrated fabric finishing agent suitable for use on all fabrics and both whites and coloureds. It is mildly acidic to neutralise any traces of alkalinity in the fabrics. Designed for use in industrial, institutional and commercial laundries where washing machines are supplied by Automatic Liquid Detergent Feed Systems. By restoring pH to the correct level, the washed articles are conditioned for the finishing process such as drying and ironing. Also, LAUNDRY SOUR prevents the possibility of residual alkalinity in the garments from causing reactions in people with sensitive skin. 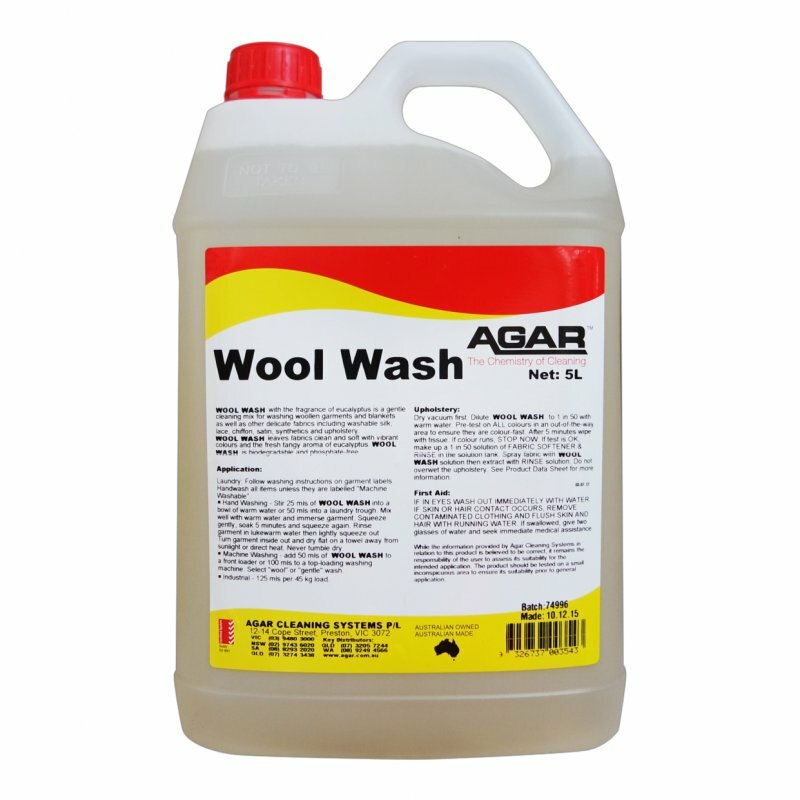 Agar Wool Wash is a, eucalyptus oil-based, gentle cleaning mix for washing woollen garments and other delicate fabrics. Gentle detergent for removing soil from woollen textiles, washable silk, lace, chiffon, satin, synthetics and upholstery fabrics including blankets.